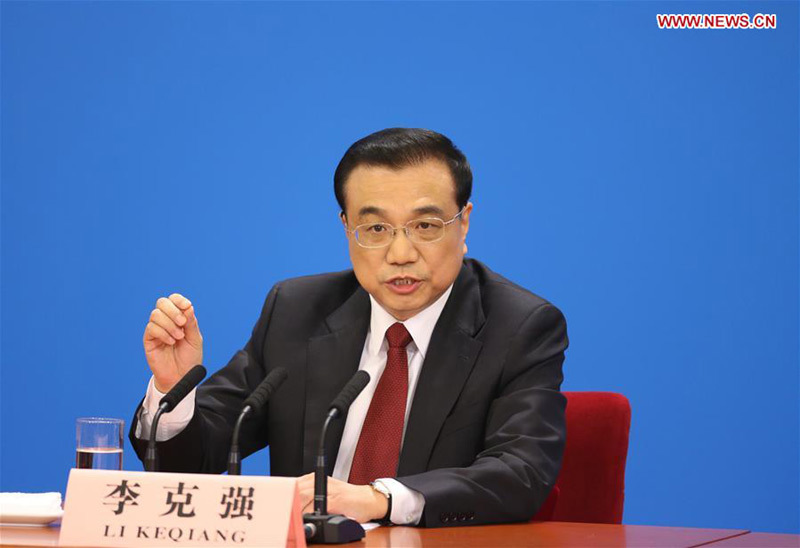 BEIJING - China is in a good position to defuse financial risks, Premier Li Keqiang said Wednesday. Last year, the non-performing loan ratios of some financial institutions increased in China because of the difficulties in some enterprises and some sectors, Li said at a press conference following the conclusion of the annual parliamentary session. But capital adequacy ratio of China's commercial banks exceeded 13 percent, below the international warning line, and banks' provision coverage ratio was above 180 percent, higher than the level of 150 percent set by the government, Li added. Due to multiple factors, there were some unusual fluctuations on the stock market last year, according to Li. "Relevant government departments took coordinated measures to stabilize the market and prevent systemic financial risks," Li said. "Our measures achieved the desired purpose."